Mr. Zhu Jinsheng (Jason), currently the deputy party secretary of School of International Education and Exchange, Guilin Tourism University. Graduated from the English major as a bachelor’s degree from Guangxi University in Nanning, Guangxi, China and continued to perused from Guilin Normal University and got my Certificate of Graduation for a Master of Teaching Technology in 2009. 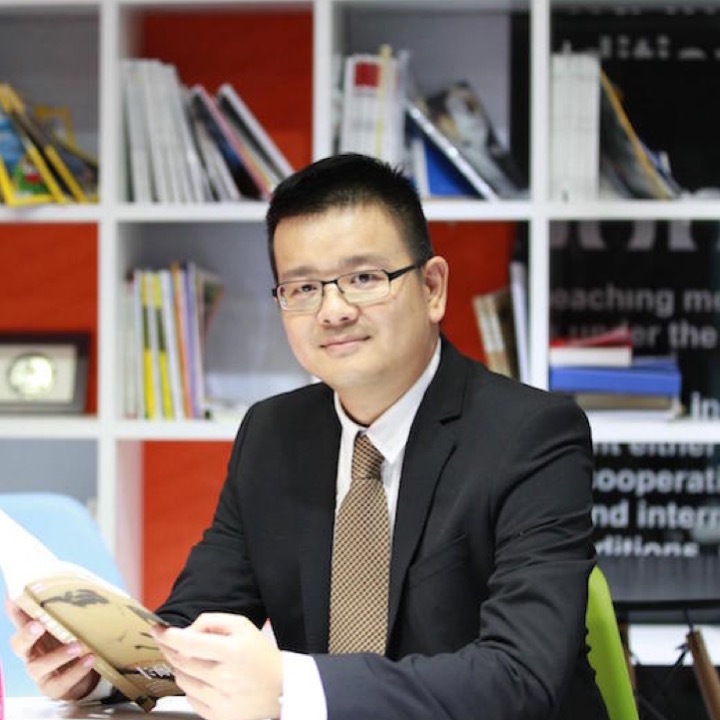 The research focuses of Mr. Zhu Jinsheng was on Cultural Anthropology, Heritage Tourism, and Tourism Marketing Practice. In recent years, Several papers published on academic journals internationally and domestically. In 2016, as a co-author, an English paper The Heritage of Chinese Cities as seen through the gaze of zhonghua wenhua (Chinese Common Knowledge) Guilin as an exemplar was published in Journal of Heritage Tourism in the United States of America. In 2014，my thesis The Establishment of Tourist Destination Image and its practical promotion was published in Journal of Nanning Polytechnic. The thesis An Exploration of U.S.Tourist Destination Slogan analysis and Practical Publicity was published in the 2013 China Tourism Review, and was nominated as top 6 national thesis of China Tourism Forum in 2013. The research paper Research on Guangxi – ASEAN Development Strategy of International Cooperation on Tourism Cultural Education was published in the Journal of Suihua Normal College in 2016. The thesis Comparative Development and Marketing Analysis of Longji Terraced Fields of China and Doi Tung Project of Thailand was published in Gui Hai Lun Cong in China, a regional journal of Guangxi, to name a few. Also I have taken part in some research projects at the national and provincial level and edited two textbooks with professional characteristics.